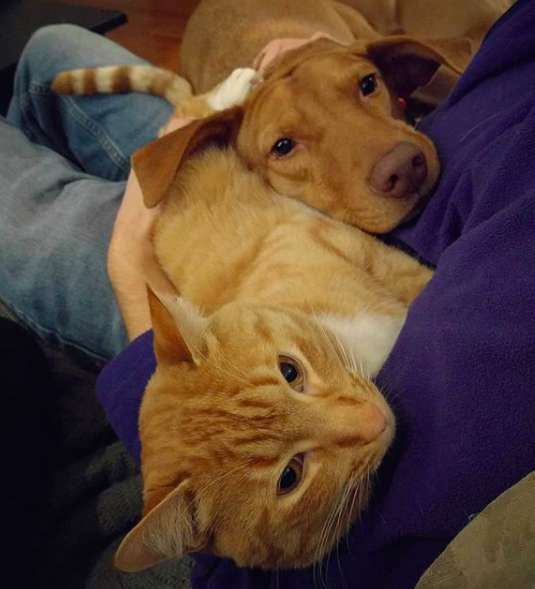 Camera Catches Cat Comforting Anxious Dog While Owner Is Away – Animal Lovers Unite! 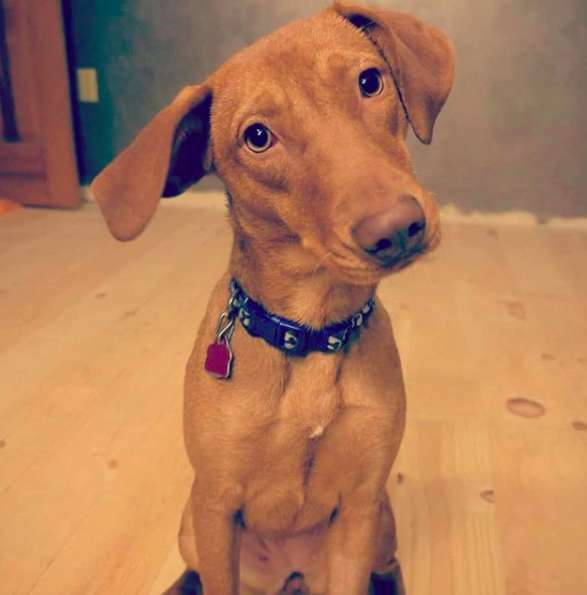 No one knows this better than Joule — a sweet-natured dog who hates to be left alone. When Eckert watched the footage, she couldn’t believe what she saw. Her easygoing cat was sweetly comforting her high-strung dog. Not just for a moment — but for the entire length of the day.“We noticed that Kelvin and Joule were laying on the couch together almost every day,” Eckert said. 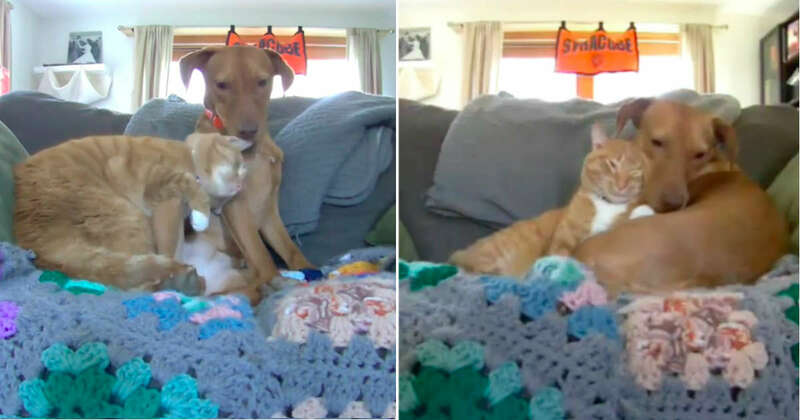 “I moved the camera to get a closer view of the couch and was amazed to see that they weren’t just sharing the couch, but they were snuggling up against each other.”Eckert was so touched that she posted one of the videos to Reddit with the comment: “This happens literally every weekday for the full 8 hours we’re gone.”But Joule isn’t the only one benefiting from this cuddle arrangement. Kevin, too, can get lonely when Eckert is away — and Joule fills that gap perfectly. “Kelvin’s personality is very mellow and sweet,” Eckert explained. “He loves sleeping and being warm, both of which he gets by snuggling up to Joule during the day.”Had Eckert never installed the cameras, this special relationship would have remained solely between Joule and Kelvin. But Eckert is glad to know someone is caring for the anxious pup while she’s away — even if Joule doesn’t always seem grateful to Kelvin. The only exception being if Eckert lays down on the couch — then the whole family cuddles up together.